Half Moon Bay Olympian and World Champion athlete Val Adams has been made a Dame Companion of the New Zealand Order of Merit in the 2017 New Year Honours. The appointment makes Dame Valerie the youngest Dame in New Zealand’s history. Five other local residents have also been named in the New Year Honours. 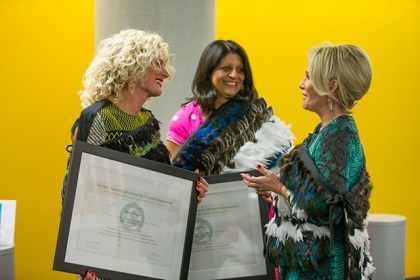 Triathlete Cameron Brown, health services proponent Ranjna Patel, shareolders’ advocate Bruce Sheppard were appointed Officers of the New Zealand Order of Merit while former hockey international Katie Glynn and table tennis champion Chunli Li were made Members of the New Zealand Order of Merit. Valerie Adams is a world-renowned shot putter who has won four World Championship gold medals, two Olympic gold medals, three Commonwealth Games gold medals, and three World Indoor Championship gold medals. Ms Adams is the first woman to win four consecutive individual titles at the world track and field championships, achieving gold in 2007, 2009, 2011 and 2013. She has also won a bronze and four silver medals at the international level, most recently earning silver at the 2016 Rio de Janeiro Olympic Games. She currently holds the New Zealand, Oceanian, Commonwealth and equal World Championship record for a personal best throw of 21.24 metres, which she set in August 2011. Between 2010 and 2014 she achieved an unprecedented winning streak across 56 competitions. She is one of a small number of athletes internationally who have won world championships at youth, junior and senior levels of an athletic event. Nationally she has won 14 New Zealand national women’s shot put titles. She has received the Halberg Supreme Award on three occasions and was named Halberg Sportswoman of the Year for seven consecutive years. 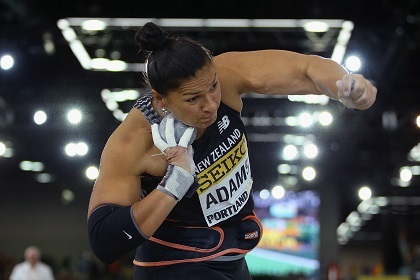 Ms Adams was named the International Association of Athletics Federations World Female Athlete of the Year in 2014. Cameron Brown is an athlete who has been involved with triathlon for 30 years and has been competing professionally for 26 years. 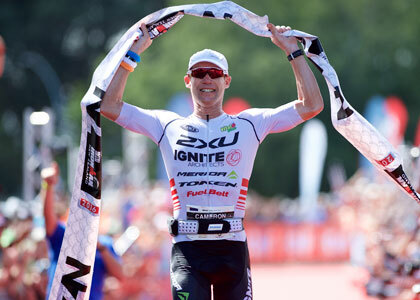 Mr Brown has competed in the Ironman discipline and has podiumed at numerous Ironman World Championships, New Zealand competitions, European Championships and Ironman events throughout Australasia. In 2016 he extended his world record as the oldest winner of any Ironman race and also became the first professional man in the world to win the same Ironman race on 12 occasions. In 2014 he became the official Ambassador for Ironman in the Asia Pacific region. In this role he conducts pre-race seminars with athletes, provides guidance and training advice, and plays a key role with government and other key partners. He is currently an ambassador for Melanoma New Zealand and in partnership with Ironman New Zealand raises awareness for sun safety and the importance of regular skin checks. He was the ambassador of Breath for Cystic Fibrosis (CF) for five years, during which time he promoted awareness of CF in the community and encouraged children to remain fit and healthy, with funds raised going towards sports equipment and swimming lessons. Mr Brown became the Weetbix Tryathlon ambassador in 2016. Ranjna Patel has been the driving force behind the expansion of Nirvana Health Group, one of New Zealand’s largest Primary Health networks, which she and her husband started as a sole GP practice in 1977. The Nirvana Health Group now serves as an umbrella company for more than 30 medical clinics servicing 190,000 registered patients from predominantly lower socio-economic communities. Mrs Patel was the first women President of the Manukau Indian Association from 2010 to 2012 and has been a member of the Executive Committee of the New Zealand Indian Central Association. She chaired the South Asian Leadership Group and is a member of the Counties Manukau South Asian Police Advisory Board, Commissioner’s Ethnic Focus Forum, the Middlemore Foundation Board, Kootuitui ki Papakura Trust, Global Women and Co.OfWomen. She has taken an active role in early intervention for family violence prevention, working closely with New Zealand Police on a unique project called Ghandi Nivas, which offers counselling and temporary accommodation for family violence perpetrators. She has held ministerial appointments to the national Advisory Council on the Employment of Women and the Lottery Auckland Distribution Committee. Mrs Patel is a Trustee of International Swaminarayan Satsang Organisation (ISSO) and ISSO Seva, which provides programmes for seniors, youth and the community. 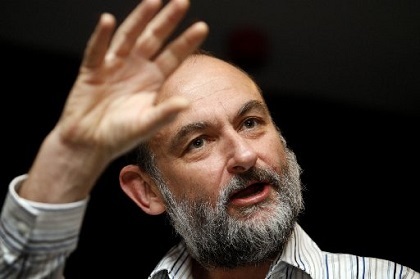 Bruce Sheppard is the founder of the New Zealand Shareholders’ Association. Mr Sheppard is a Partner at Gilligan Sheppard Accountants which he formed in 1985. In 2001, he founded the New Zealand Shareholders’ Association to represent shareholders and improve the equity investment market in New Zealand. He was Chairman of the Association until 2011, during which time it grew from an initial membership of 100 to over 1000 with six branches throughout New Zealand. He advocated for the Association to develop financial literacy as a key objective, including the development of education courses, particularly for the elderly. He led the campaign for financial market reform and accountability, particularly the Companies and Securities Act and the right to take an action on behalf of investors. He encouraged the establishment of the Financial Markets Authority and was a member of its Establishment Board and Foundation Board. He is a regular speaker at professional events, corporate governance conferences, for community groups, and as a guest lecturer and Expert Witness. Mr Sheppard is a shareholder and director himself, having been involved in a number of new and often innovative ventures including Argus Fire Protection Limited and Connexionz Ltd.
Katie Glynn was selected into the Blacksticks New Zealand women’s hockey team in 2009 and has since amassed 134 international caps and scored 77 international goals, becoming one of the highest female goal scorers in New Zealand hockey history. Miss Glynn has played at prestigious tournaments such as the Oceania Cup, Champions Trophy, World Cups, the London Olympics, and the Delhi and Glasgow Commonwealth Games, where the Blacksticks won silver and bronze medals respectively. After receiving an injury that forced her to retire from her professional career she has gone on to make a difference in the development of up and coming players as a coach and role model. She has been Sports Manager at Diocesan School for Girls in Auckland since 2014, where she is responsible for development in a range of sporting codes while coaching the first XI hockey team and has markedly improved the school’s performance in this code. Over the past seven years she has coached in schools, clubs and for representative teams, as well as one-on-one coaching. 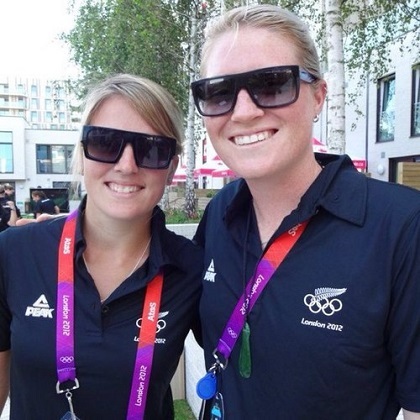 She is currently co-coach for the Auckland women’s national league team. Miss Glynn has run a number of fundraising activities over the past four years to help teams and individuals attend tournaments. Chunli Li is a world-renowned table tennis player who has represented New Zealand internationally. Early in her career Ms Li was a member of China’s national table tennis team and was twice a mixed doubles champion in China. As one of New Zealand’s representatives at the 2002 Commonwealth Games she won gold for women’s singles and silver for women’s doubles, and two bronze medals in the mixed doubles and women’s team competitions. These are the only Commonwealth Games medals that have been awarded to New Zealand for table tennis. She has represented New Zealand at four Olympic Games in 1992, 1996, 2000 and 2004. She coached New Zealand’s national teams for the 2006 and 2010 Commonwealth Games before coming out of retirement in 2011 to lead the New Zealand table tennis team to the 2014 Commonwealth Games. At the local level Ms Li initiated and runs a coaching programme through the Panmure YMCA for people of all ages wanting to play table tennis.